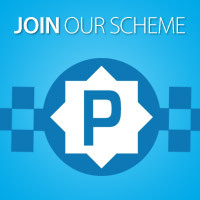 The Horsefair Shopping Centre has been awarded the safer parking scheme’s “park mark” for the second year running. It is the only car parking facility in Fenland to have achieved the award, demonstrating the centre’s commitment to taking care of its shoppers. 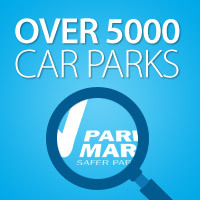 Kevin Smith, centre manager, said: “We are very pleased to have our car parking facilities recognised. We work very hard to ensure that the entire Horsefair centre is safe and welcoming for our shoppers, and the car park is an extension of that”. Inspectors reported that “it is an excellent facility, run and managed by enthusiastic staff, ensuring that it remains a safe and non-threatening environment for people using it”. The report praised the Horsefair car park for its ample lighting, pedestrian access and signs of a “very high standard”. The car park, which has 359 spaces, 14 accessible bays, and 13 parent and child spaces, offers free parking for the first three hours. After that it costs 50p per additional hour. All day parking is £2. The car park is free on Sundays, bank holidays and daily after 6pm. Photo (left to right) Steve Crowther, regional manager for Horizon Parking; Kevin Smith from the Horsefair; Dave Griffin, the local police Designing Out Crime officer; and Peter Gravells, area manager for the British Parking Association.